A ticket which allows you to create one Whirbet. 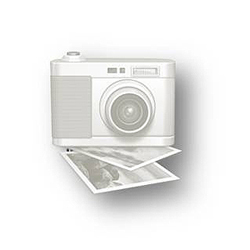 Create your own Ribomir with this ticket! Once you have purchased it, the item will be added to your EvoCrit account for you to use for MYOs on site. Create your own Breakbun! Once purchased, this item will be added to your EvoCrit account, where you will be able to use it to create your own Breakbun. This item will allow you to create your own TailMonster! When purchased, this ticket will be added to your account and allow you to create a Domeni. Once purchased, this item will be added to your EvoCrit account where you can use it to create a Stargon. Create your own HoodPup with this ticket! Once you have purchased it, the item will be added to your EvoCrit account for you to use for MYOs on site. Create your own Suikana! 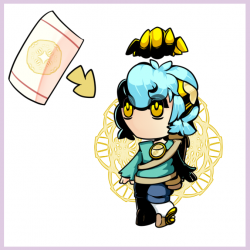 Once purchased, this item will be added to your EvoCrit account, where you will be able to use it to create your own Suikana. Create your own Twilight Child! Once purchased, this item will be added to your EvoCrit account, where you will be able to use it to create your own Twilight Child. 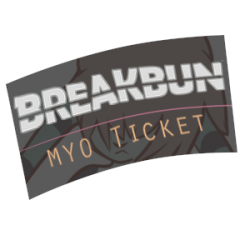 This ticket allows for one MYO of a Ribomir. Click here to view the project page. More information about Domeni can be found here. Note: Domeni rarities are currently under construction. If you create a Domeni at a rarity and it later becomes less rare, you will get the old MYO ticket back. This item will let you create your own Stargon. HoodPups is a project featuring colorful canine-like creatures called HoodPups, with a variety of traits and magical specialties. This product consists of an item which will be added to your EvoCrit account which will allow for the creation of one HoodPup with traits up to the specified rarity. Traits can be found here. A species guide for this species is available on Toyhou.se. The Fool, Ace, and Joker Suikana cannot be obtained through MYOs. This MYO ticket will be added to your EvoCrit account. From there, it can be used to create a Suikana character, which can be approved either on the EvoCrit site (currently in progress) or on the EvoCrit Discord Server. These correspond to trait rarities as found in the species guide. This MYO ticket is only to create Rank I Twilight Children. Rank 0 Twilight Children cannot be obtained through a MYO. This MYO ticket will be added to your EvoCrit account. From there, it can be used to create a Twilight Child character, which can be approved either on the EvoCrit site (currently in progress) or on the EvoCrit Discord Server.